December is here and the Christmas lights are beginning to glow in the streets. At this moment, everyone is waiting to come home and enjoy sitting around a decorated Christmas table with the company of family, friends and most importantly, a table full of delicious food. In Spain, each day brings with it a special dish according with the occasion. 24th December marks the start of Christmas Eve. A family meeting at dinner, where a lot of appetisers on the table are seafood items, and there is no table in Spain that doesn’t have Langostinos. 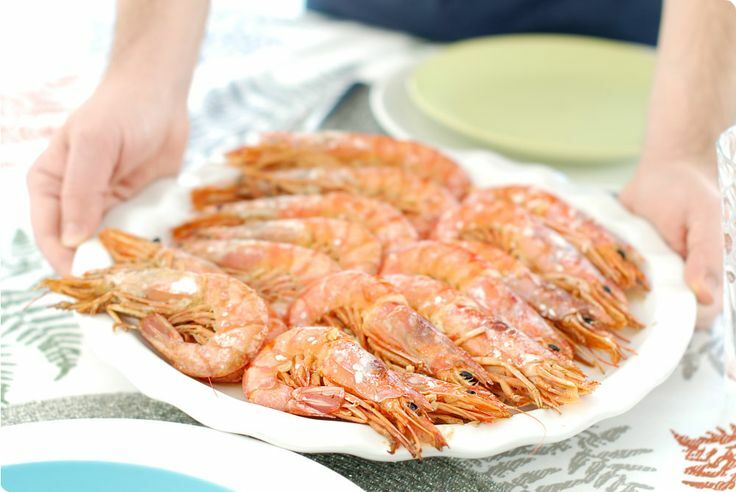 There are many ways to prepare them that vary according to region or even depending on the family but generally langostinos are grilled and seasoned with lemon. At lunch on the 25th December, the star of the meal is the lamb. 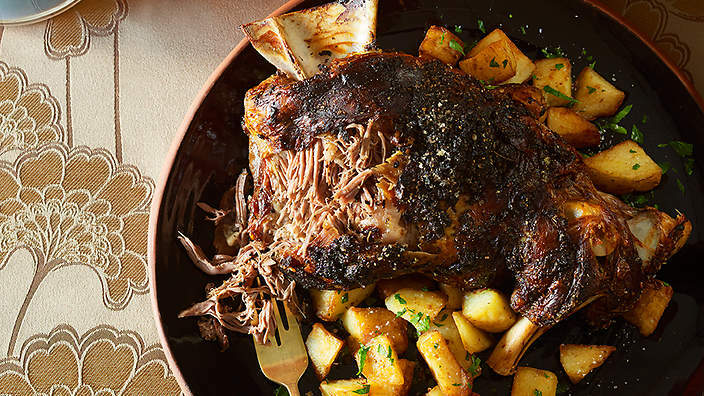 A whole lamb is chopped and roasted in a ceramic casserole. The challenge is to achieve the perfect roasting point, which comes by cooking the lamb at two different temperatures; a lower temperature for about 1 hour of cooking and a higher temperature for 45 minutes. This ensures the skin of the lamb is crunchy and the meat is soft and tender. New Year’s Eve, midnight, is probably one of the most exciting moments of Christmas time. In Spain all the family sits around the table with the TV on and 12 grapes (yes grapes!). 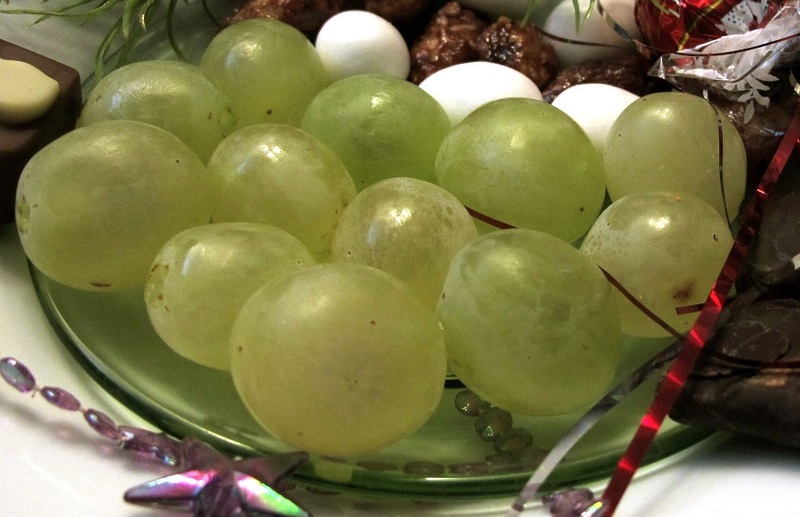 The tradition is to eat one grape for each stroke of the clock at midnight in order to have good luck the following year. 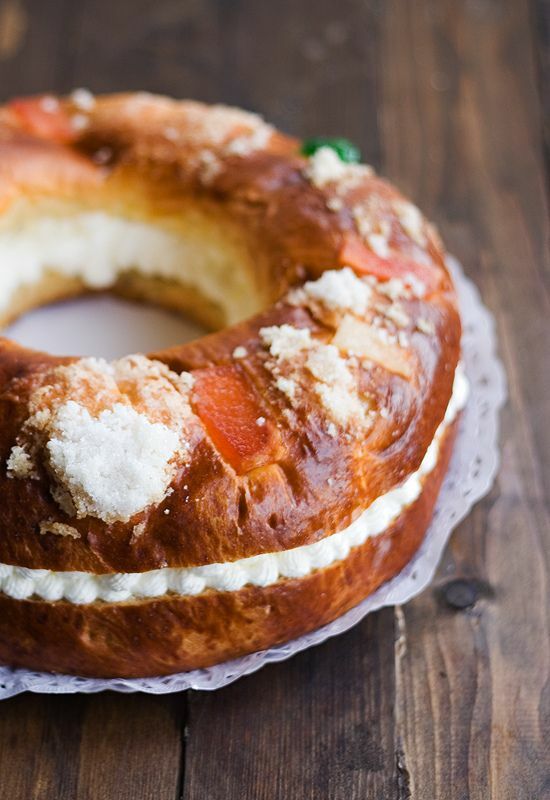 Christmas in most countries wouldn´t be the same without sweets and Spain is no exception. Turrón and polvorones are some of the most popular sweets at every Spanish table after each Christmas meal. 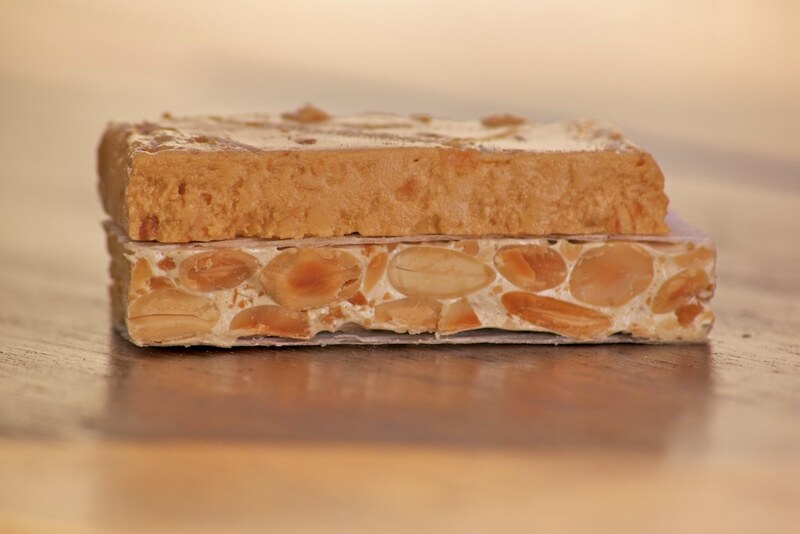 Turrón is like a big size candy or nougat bar that can be soft or hard. Both are typically made of almonds leaving the soft one creamier and the hard one crunchy. Polvorones are a type of heavy, soft and very crumbly Spanish shortbread made of flour, sugar, milk, and nuts. Traditionally eaten on January 6 during the celebration of the Día de Reyes–commemorating the arrival of the three wise men – Roscón de Reyes is eaten. Roscón de Reyes is a round shaped cake with a spongy texture, that's filled with cream decorated with sweet dried fruits on the top. The Roscón has a "secret bean" called Haba that someone will find while eating their piece of Roscón. According to the tradition, the person who finds the haba has to pay the cost of the cake. Nowadays, sometimes the haba is substituted by a little porcelain figure for the delight of the children. On the 17th of January we will celebrate the Día de Reyes at Quemo Spanish restaurant. It will consist of a day for families to come with their kids to enjoy a brunch with a Roscón de Reyes as well as other traditional Spanish food eaten around Christmas time and the three wise men will bring presents. Keep updated about this event on our Facebook page!